Purpose: Use this document as a reference for reviewing asset accounting entries in ctcLink. 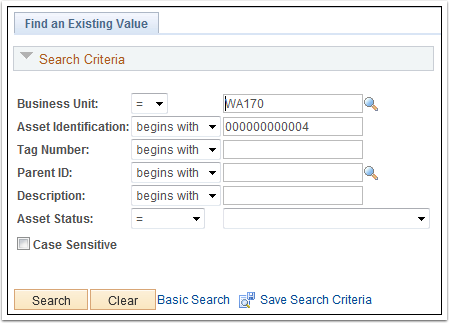 After creating accounting entries, you can use the Review Financial Entries component to review the associated accounting entry detail for each asset. Use the List page to review accounting financial entries in a summary list format for the selected asset. When finished, click the Detail tab. 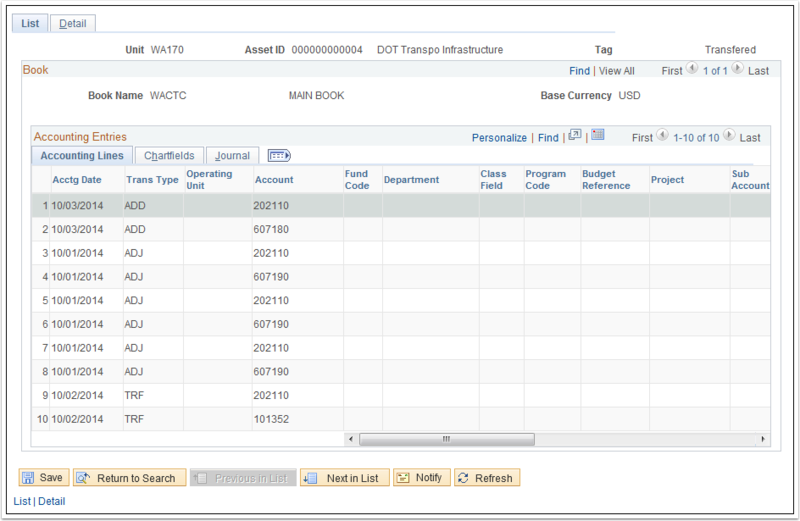 If necessary, use the Show next row button to view additional Accounting Lines. Use the Detail page to review accounting financial entries in detail. Click the Show next row button to progress through each accounting financial entry.